Employing Interns - Should Your Clinic Go For It? It’s very hard for fresh veterinary graduates to find a decent working position where they will start building their amazing career as a veterinarian. On the other hand, it’s also quite difficult for a busy veterinary practice to find and employ staff who will prove to be motivated, hard-working, respectful, and devoted--at the same time. With this in mind, it’s safe to say that there is a tiny bit of uncertainty about whether veterinary clinics should employ interns right after they complete their program. In our opinion, the answer should always be a yes! Let’s say that that you are a practitioner who plans on establishing an internship program for the first time. In most countries, there isn’t a governing body regulating veterinary internships, but there are recommended standards. And meeting those standards probably means making a few modifications to how your practice works. When the internship begins, your job is to be a mentor who will prepare the aspiring veterinarians to provide high-quality medical service and possibly advance in the specialty training program. When signing the contract be specific about what is expected from the intern and what you will give in return. If you only want to have interns helping around the clinic just to be a cheap source of labor without caring about their future you’re being short sighted. 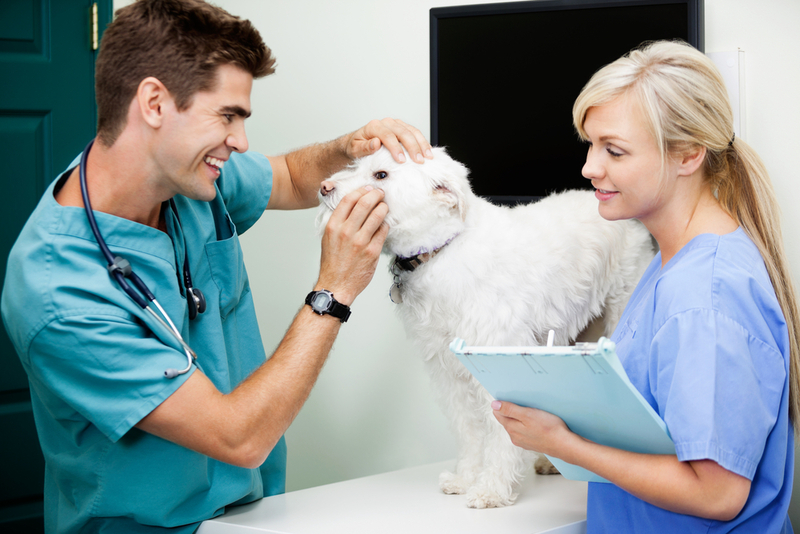 Considering you are a growing veterinary establishment the necessity for highly trained professionals is undeniable. Being the one investing 100% of his resources into the interns and taking care of them will provide you with motivated and dedicated employees who will fit your business model at the end of the internship program. Moreover, during the program, you will surely benefit from fresh ideas from the new veterinarians. The candidate pool is vast and there is no need to jump in and allow just anyone to join your veterinary team. The process of selecting the right candidates should be discussed between the team members because the reputation of the clinic depends on it. Just don’t be too judgmental. Most recent graduates have a lot of knowledge but lack confidence and hands-on experience which are the two main reasons they’re seeking an internship program in the first place. No one becomes a successful veterinarian overnight so give each intern a few weeks to blend in. There is the risk of interns not fitting in, not being able to follow the rules or simply not caring enough to upgrade their skills. There are also the rebellious ones who think they know a lot more than everyone else in the clinic. Since internships are for a set period of time, after the program ends just let the bad apples go. Every business move is a risk, but in our humble opinion the positive aspects always outnumber the negative ones. Considering how many former interns decided to stay and give their best in the place of internship, it’s definitely a risk worth taking. Subscribe below or leave us a comment.